Now and then I post photographs of windows because I suppose I like what symbolize and how they gave composition to an image or structure to an otherwise unstructured world – I love the implied order of right angles. Wade Zahares is an artist who loves windows even more than I do, I think, and he creates art that portrays windows in ways and colors in I can only dream about. 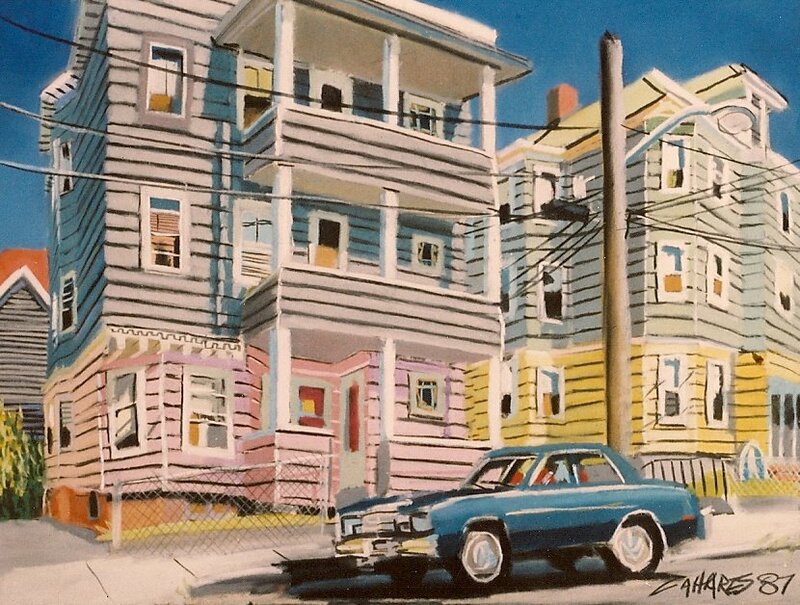 And the more of his art I see the more it matches up with times and places in our lives, including this Boston area triple decker from the ’80s and his more recent coastal New England landscapes and harbors. 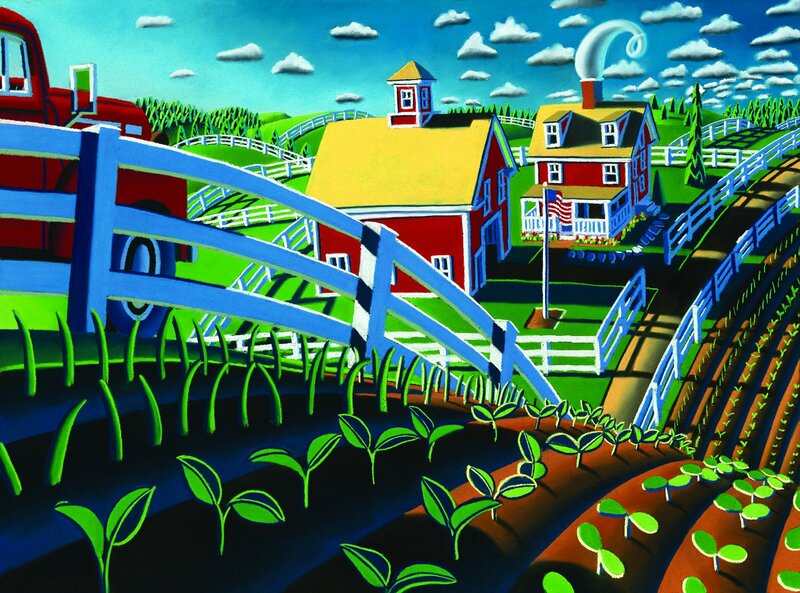 There is even what appears to be a midwestern plainscape – I have never felt so validated by another person’s art. And as if that isn’t enough, he portrays trains and rolling vistas in prints and illustrations for wonderful books. We first discovered Zahares’ art though the 1998 book, Window Music, which delighted my young children and still delights me. 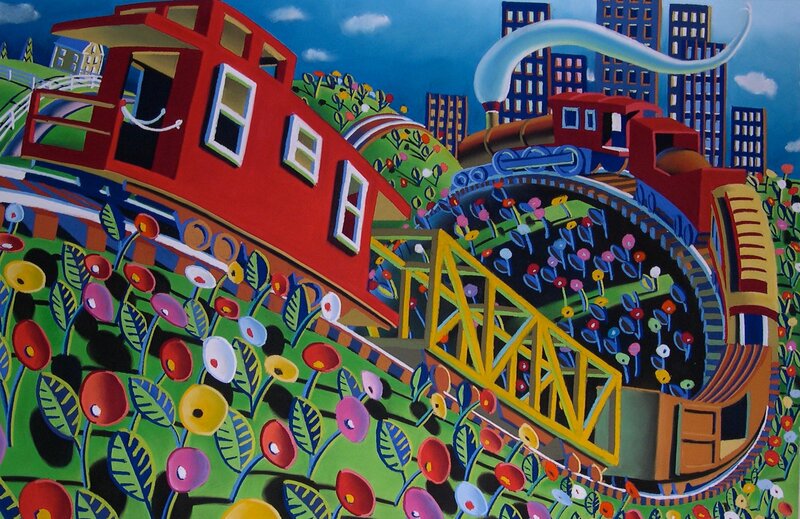 And for all of the sharpness of the images and vibrance of color, he works in pastels; I love the juxtaposition of sharp angles and bold landscapes – sometimes with the turf rolled back to reveal fantastic infrastructure – with the occasionally gently smudged pastel. It is fine art that stands up to the cacophony of the garish digital age, paying homage to some great pop art but keeping a kind of hand-forged integrity. Zahares’ art, in its way, turns LettersHead on its own head, offering up 21st century art in a 20th century way. He does in images what I try to do in words, and the time he has devoted to his craft has produced spectacular results. Thank you to Wade Zahares for giving us permission to use his art in this post.